What is your favorite go-to snack between meals? Mine is yogurt, usually plain, and often with fruit or as a topping on salad. Of late, I have been noticing our local supermarket’s dairy aisle full of “Greek style yogurt” and I was curious to know what it was. It is also heart-warming to see young children enjoying the fruit-flavored versions. First question, of course, is “what is Greek yogurt”? We know that yogurt is naturally nutritious. Besides protein, it is also a great source of calcium and potassium. All yogurts are excellent sources of calcium, potassium, protein, zinc, and vitamins B6 and B12. Greek yoghurt is the thicker, creamier cousin of regular yogurt with twice the protein content, and half the sodium and carbohydrates. It is similar to hung curd. Including it in one’s diet—particularly for vegetarians—can raise the healthy quotient as a source of extra protein and B12. Also, it contains probiotic cultures. Its lactose content is lower, making it easier to digest for those who are lactose intolerant. Plain Greek yogurt is a nutrient-packed snack with many health benefits. Just one cup equals the recommended dietary guideline of three daily servings of low fat or nonfat dairy products. If you tend to reach out for a fried snack when you are hungry, it is time to look at healthier options. Case in point: Greek yogurt. Why consider Greek yogurt as your go-to snack? We need protein to maintain bone, muscle, cartilage health and to keep our skin, hair and blood healthy. Protein also gives us energy and strengthens our immune system. Protein in our diet also keeps us fuller, keeping us from unhealthy snacking. Greek yogurt is rich in protein and offers a healthy snack option. Packed with probiotics—healthy bacteria, Greek yogurt helps maintain gut healthy, preventing tummy aches and diarrhea. 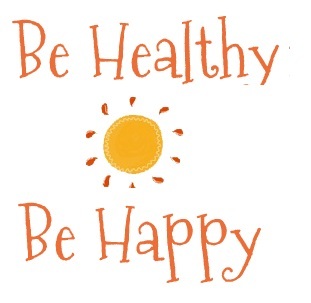 Probiotics also make you less prone to negative thoughts and keep you happy. This builds strong muscles and keeps your vital organs functioning smoothly. Our body does not produce calcium on its own, and insufficient calcium affects growth in children and raises the risk of osteoporosis. To absorb calcium we need Vitamin D, the best source of which is exposure to sunlight. One serving of Greek yogurt contains 18.7% of our daily value of calcium. Convenient and easy to consume, this makes a healthy snack as well as breakfast option, combined with fruits and nuts. Blood health, brain function and DNA synthesis—all need Vitamin B12. Vegetarians invariably have to source this from a supplement, but Greek yogurt is a powerful natural option. Greek yogurt is a good source of potassium which is essential to keep blood pressure and sodium levels balanced. People often wonder about the best foods to eat after a workout. Rich in amino acids that constitute protein, Greek yogurt is one of the ideal snacks after a workout to help you recover from exercise. Add a banana or berries and you’re all set! To keep our metabolism healthy, our thyroid must be healthy. For thyroid health, iodine is an important component. Our body does not make iodine naturally and we must ensure we get enough via the food we eat. Greek yogurt is an excellent source of iodine. With a healthy metabolism, weight loss is not far behind! One of the reasons for fluctuations in weight is iodine deficiency. Increasing iodine levels through the diet can boost thyroid function, and boost the metabolism, helping with weight loss. Also, enough calcium in the diet can lower fat production. Greek yogurt brings the goodness of protein and calcium. The texture helps one stay full longer and also with portion control. Greek yogurt has health benefits for people of all ages. Children, the elderly, pregnant women–all need energy and protein. 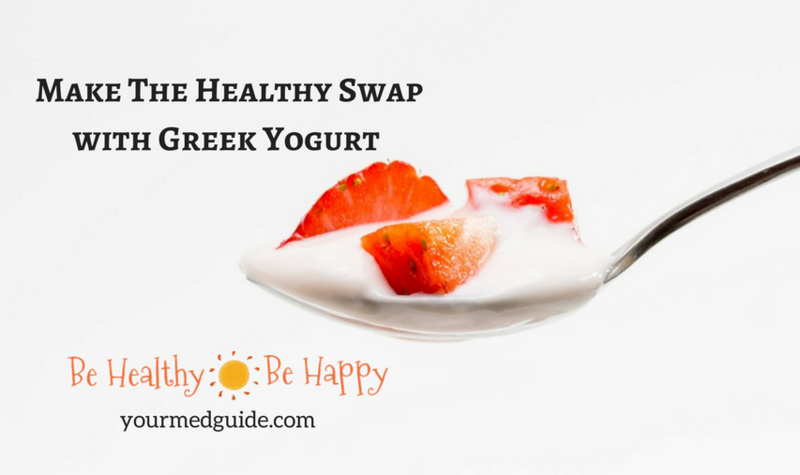 If like me you are diabetic, Greek yogurt is THE healthy swap! On 4 October, I attended the Danone blogger meet at Fava, UB City to learn more about “The Healthy Swap” initiative with their Greek style yogurt. The evening began with a warm welcome by Gopika Kaul. This was followed by an introduction to Danone by Ms.Shefali Sapra, Director Corporate Affairs who gave us insights into how Danone operates, the journey of their products from production to consumer, and their stringent quality control measures. She also introduced the The Healthy Swap initiative. Then, Dr. Madhavi Marathe, Senior Nutritionist explained how and why yogurt, and in particular Greek yogurt could help make the transition into healthy snacking by becoming The Healthy Swap. When hunger pangs hit, one generally tends to reach out for convenient, packaged fried stuff without stopping to think of the empty calories that do nothing for our health. By being a little conscious, it is possible to enjoy a snack that is both yummy and healthy. All sessions were interspersed with lively discussions. After Dr. Madhavi’s talk, we enjoyed a live cooking demonstration by Chef Abhijit Saha. He created four recipes incorporating various Danone Greek yogurt flavors. Who knew beetroot, yogurt and spices could come together to create this? My favorite way to consume yogurt is plain and unsweetened, often with fenugreek sprouts, which doubles up as a dessert after a meal, or simply as a healthy snack. The evening concluded with delicious high tea that featured the dishes demonstrated to us. As always, it was nice getting together with friends. My first “meeting” with Danone was in Pune in 2012, when we went out to buy yogurt. The guesthouse we stayed in had an outstanding cook and we really had to balance all the yum food. That’s when we first tried Danone and liked it. Also, in our family, no meal is complete without yogurt. We enjoy all flavors of Danone’s Greek style yogurts and dahi. The Danone Greek style yogurt range includes mango, blueberry and strawberry flavors and they have now launched their low-fat Greek style plain yogurt with no added sugar. Also new are their lychee and peach flavors, which I am guessing will be a hit. I cannot think of a better dessert than yogurt and the added fruit is a healthy bonus. My son loves the blueberry and mango best. Is Greek yogurt a part of your diet? What is your favorite way of enjoying it?